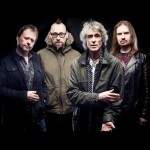 Following a from a sold-out run of shows in 2017/18 which featured Wishbone Ash’s seminal albums Argus, There’s the Rub and Wishbone Ash in their entirety. In 2019 their show will feature the first ever full performance of Wishbone Ash’s classic 1976 album “New England”, plus highlights from “Argus” and more. Doors 7pm, stage time 7.30pm Tickets are £17.50 plus £1.75 booking fee. 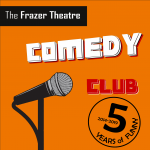 On Friday 3rd of May, The Frazer Theatre Comedy Club continues it's Five Years of Funny Celebration with another stellar line up including Glenn Moore, Jayde Adams, David Stanier and Rich Hall. Tickets are £10 in advance (no booking fee applies) with any remaining tickets available on the door for £12. Doors open 7:30pm and show starts at 8pm. 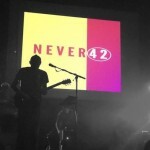 Never 42 is the expression of their combined passion for the musicianship of Mark King and Mike Lindup and the upbeat jazz funk sound that is Level 42 with an uncanny accuracy and has earned them the reputation as the UK’s Premier Level 42 Tribute Band. Expect to hear the Level 42 favourites, Livin it up (The Sun Goes Down), Lessons In Love, Something About You, The Chant Has Begun, Starchild, Are You Hearing What I Hear, Hot Water… and so many more! 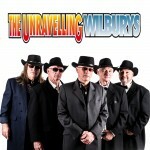 Tickets are £15 in advance plus £1.50 booking fee. Any remaining tickets will be available on the door for £17. Doors open at 7pm, show starts at 7.30pm. From Thursday 9th to Saturday 11th May, Harrogate Gilbert and Sullivan Society perform at the Frazer Theatre for the first time. Iolanthe is a spellbinding musical fantasy, Iolanthe is Gilbert & Sullivan at their sublime and satirical best. 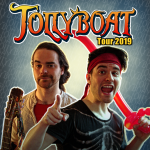 The world of politics and the world of fairy-tales collide in this irreverent send-up of the House of Lords, set to some of the most beautiful music ever written by Sir Arthur Sullivan. There will be a performance at 7.30pm each evening with a matinee on Saturday at 2.30pm. Tickets are £12 + £1.20 booking fee. 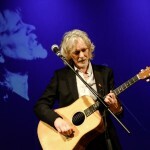 On Saturday 25th May 2019, Frazer Theatre Music presents lead vocalist and guitarist from The Searchers, Spencer James as he embarks on his first solo show. 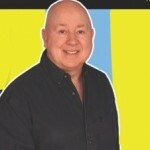 Spencer James has seen phenomenal success in his 32 years as the lead vocalist and guitarist with the sixties legends The Searchers. The Searchers will be retiring in 2019 and Spencer has decided to keep himself busy with his first ever solo tour show during which he will be singing songs from throughout his career. Tickets are £18 (10% booking fee applies). Doors open at 7pm, show starts at 7.30pm. The show will feature songs including “Handle With Care”; “The End Of The Line”; “The Devil’s Been Busy”; “Tweeter and The Monkey Man”, “Heading For The Light” and solo choice cuts: “Pretty Woman”; “You’ve Got It”; “Mr Blue Sky”; “Evil Woman”; “Mr Tambourine Man”; “Make You Feel My Love”; “Running Down A Dream”; “I Won’t Back Down”; “What Is Life”; “Here Comes The Sun”; and “Runaway”. Tickets are £16 plus £1.60 booking fee. Doors open at 7pm, show starts at 7.30pm. 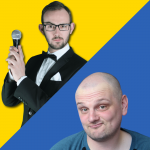 On Wednesday 26th June Frazer Theatre Comedy Club presents a double bill of comedians Alun Cochrane and Tom Taylor with work in progress shows as they prepare for the Edinburgh Festival. Tickets are £8 and are available with no booking fee from our online box office by clicking Buy Tickets or by calling 07835 927965. 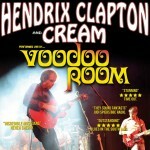 On Friday 28th June, Frazer Theatre Music plays host to a tribute to the masters of classic blues rock,Voodo Room: A Night Of Hendrix, Clapton & Cream with a new and exciting power trio featuring some of the UK’s finest musicians, are a tribute band with a difference, and their refreshingly energetic and unpretentious live show is not to be missed! Voodoo Room deliver a full-on show that features all of your favourite Hendrix, Clapton and Cream tunes, performed with an energy and virtuosity that transcends tribute band status. Tickets are £15 + £1.50 booking fee. Doors open at 7pm, show starts at 7.30pm. On Friday 23rd August, Frazer Theatre Music brings Wet Wet Wet’s Graeme Clark to the Frazer Theatre. Graeme will be joined by renowned violinist Fiona Cuthill, his accompanying fiddle player. Fiona has been present on stage with him for a number of years, augmenting his solo acoustic with a beautiful and almost lyrical tone. “Don’t be deceived by, or take light of this piece of musicianship, simply defined as a fiddle” he muses. 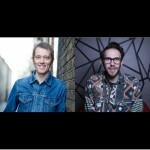 ​This will be a fantastic opportunity to catch a very special performance on the acoustic stage from a legendary name. Tickets are £15 plus £1.50 booking fee. Doors open at 7pm, show starts at 7.30pm. 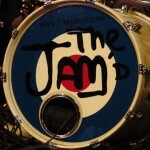 On Saturday 19th October, Frazer Theatre Music present The Jam’d. 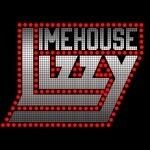 On Saturday 9th November, Frazer Theatre Music present Limehouse Lizzy. Tickets are £18 plus £1.80 booking fee. Doors open at 7pm and the show starts at 7.30pm.